As a restaurant owner, you know that a breakdown can happen at any time. Computer systems can go on the fritz, electrical components can fail, and mechanical parts can cease to work. These unexpected breakdowns often come at the worst time, affecting business operations and your bottom line. While you cannot always prevent a breakdown, you can safeguard your business from costly repairs and replacements. Equipment breakdown insurance provides essential coverage for losses due to the electrical or mechanical breakdown of nearly any type of equipment. Learn more about restaurant insurance and how an restaurant insurance agency can help you get coverage. Equipment breakdown insurance covers the physical and financial damage that can be caused by a breakdown of commercial equipment. 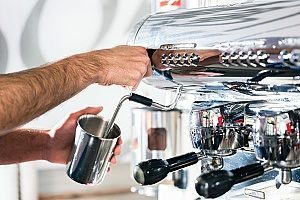 While this type of coverage is critical for business owners in all industries, restaurant owners are especially prone to equipment breakdowns due to the nature of the job. 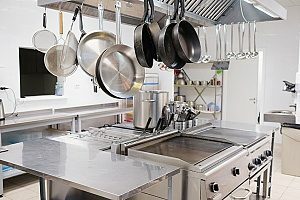 On a daily basis, restaurants use a variety of equipment to perform essential operations, such as commercial ovens, fryers, refrigerators, freezers, and ranges. A kitchen full of commercial kitchen can cost tens of thousands of dollars to replace. Mechanical breakdowns: Mechanical equipment breakdown may include generators, engines, motors, water pumps, elevators, or specialized manufacturing or production equipment. Electrical breakdowns: Insurance may cover electrical breakdowns of cables, electrical panels, or transformers. Computers and communication breakdowns: This category of equipment breakdown insurance generally includes common commercial systems, such as computer systems, fire alarm systems, phone systems, security systems, and voice mail systems. Refrigeration and AC breakdowns: Breakdowns of refrigerator and freezer units, as well as air conditioners, may be covered by insurance. Boilers and pressure equipment breakdowns: If your restaurant uses a boiler or other type of pressurized equipment, equipment breakdown insurance may cover the cost of repair or replacement. The success of your business is majorly dependent on equipment that is running efficiently. Whether you are a new business with little experience or an established restaurant with years of success, the need for equipment breakdown insurance is the same. There are a number of circumstances in which equipment may breakdown. Without the funds readily available to repair or replace the equipment, you may find a delay in operations or a major financial setback. For example, if you own a bakery that relies on both walk-in customers and online orders, a power surge that caused an outage would no doubt stop your business in its tracks. Not only would you lose air conditioning or heat which is essential for comfort and food safety, you would also be unable to prepare, cook, or sell your goods. If the power outage lasted too long, much of your food would likely spoil. A power outage also results in the stopping of online orders. Without electricity and a working computer, you would be unable to process orders normally. The cost to repair any appliances or computers damaged by the power surge. Lost business income accumulated while the power was out. Costs associated with the time and labor needed to repair or replace damaged equipment. Expenses to replace any spoiled food caused by the power outage. Here is another example. Say you own a pizza restaurant and store all of your homemade pizza dough, cheese, sauce, and toppings in a commercial size refrigeration unit. One day you arrive to work to find that the compressors in the refrigerator shorted out overnight. Everything in the refrigerator is spoiled and must be thrown out. In this case, equipment breakdown insurance would likely cover the cost to repair or replace the refrigeration unit, as well as the cost to replace the spoiled food. Depending on your level of coverage, the insurance may also pay you for any lost income while replacing the fridge and its contents. If you own a business that uses any type of mechanical or electrical equipment, heating or cooling units, or computers or networks, then you need equipment breakdown insurance. Restaurant owners, in particular, can greatly benefit from equipment breakdown coverage as commercial appliances and machinery can be very costly to repair or replace. You may be wondering if you really need equipment breakdown if you do not own the equipment you are using. The short answer is yes, you should still have coverage. Remember that if the equipment breaks down, you are still at risk for losing productivity, customers, and income. You may think that you do not need equipment breakdown insurance because you already have business insurance. It is important to understand that property insurance policies owned by most business owners do not generally cover business equipment. While having warranties on your equipment can be helpful, most warranties only cover new equipment for a brief period of time. Commercial property insurance also does not cover any lost business income that you may encounter due to equipment breakdown. Now that you understand the importance of equipment breakdown insurance, you will need to determine just how much coverage you need. To ensure that your business is covered thoroughly, you will want to explore all scenarios that could happen based on the type of restaurant you own and the equipment you use. Consider all aspects, such as how damage to your equipment could harm your business, how lost income would impact your cash flow, and what would happen if you need to close your doors for an extended period of time. Owning a restaurant presents a number of risks, such as the potential damage to equipment caused by mechanical or electrical breakdowns. Being prepared for such catastrophes is key to prevent financial ruin and to keep your business growing steadily. For more information about equipment breakdown insurance or for the steps necessary to acquire coverage for your business, contact an restaurant insurance agency today.